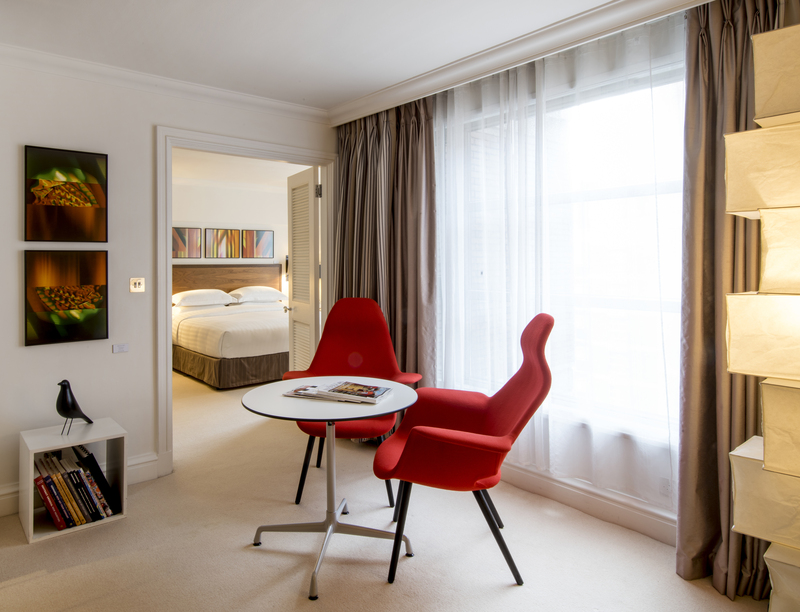 Hyatt Regency London – The Churchill has created the Saatchi Suite where visitors can experience and purchase the art and design which has been curated within the space. 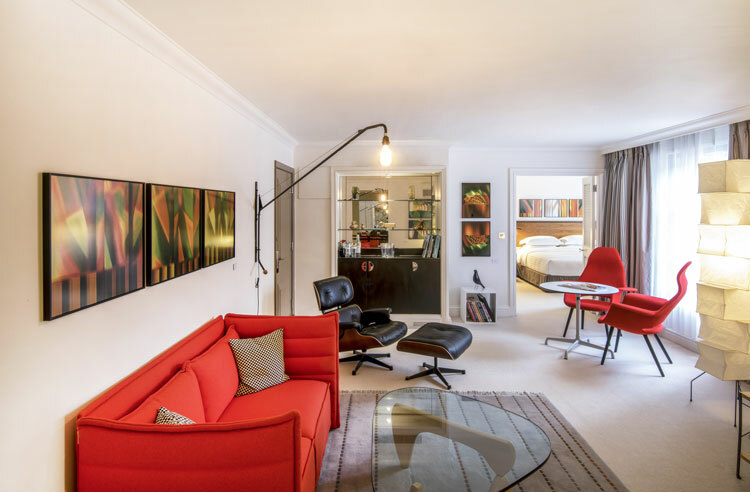 Swiss furniture manufacturer Vitra has teamed up with the Saatchi Gallery and The Churchill hotel in London to create a suite pitched at art and design lovers, where everything is for sale. 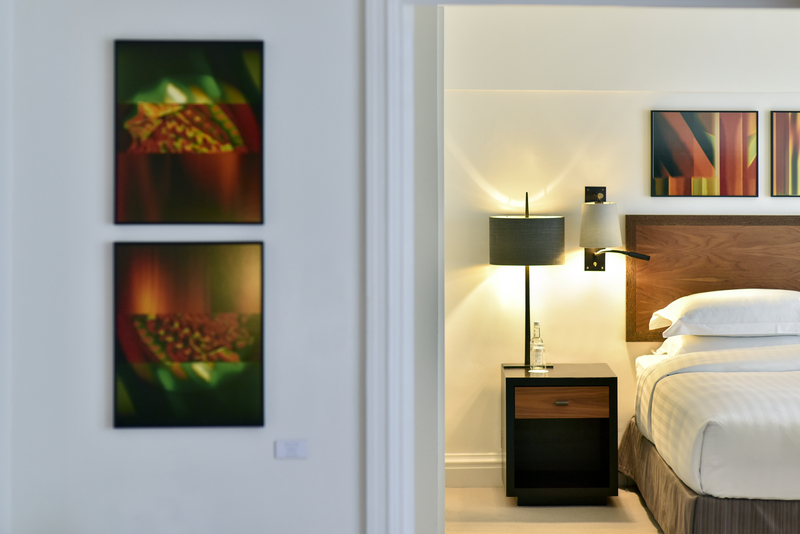 Hyatt Regency London – The Churchill, has opened up the Saatchi Suite to coincide with exhibition Beneath the Colour, which is taking place on the ground floor of the hotel and has been curated as an exploration of colour across different media. The theme continues in the suite, where works exploring colour by James Alec Hardy have been hung. Furniture set in red, mahogany, grey, black and cream colourways have been selected to offset and complement the dark colours and angular shapes of Hardy’s works. Vitra – which is well known for its collaborations – has included furniture pieces that have been forged from some of its most famous partnerships. These include the classic Eames Lounge Chair, as well as a pair of Charles Eames and Eero Saarinen chairs and an RAR Plastic rocking armchair, among other pieces. The furniture has been designed to lift what could otherwise be quite an anodyne space, and, according to Arnaud de Saint-Exupery, manager of the hotel, it will “push the boundaries of conventional hotel furniture” and create an “inspirational, inviting and comfortable” environment. Meanwhile the bathroom has been given over to an installation by Celine Fitoussi, which features 2,000 bars of soap lining the walls. The interactive piece is also covered in etched graffiti. 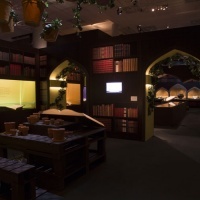 The hotel has also created a menu and a cocktail both inspired by the Beneath the Colour exhibition.